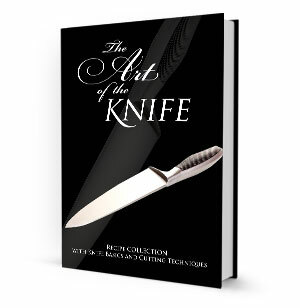 240-page knife instruction and cookbook. Over 200 delicious recipes inside. Learn knife skills and maintenance. Includes chopping, mincing, dicing & slicing. Teaches fruit and vegetable preparation.